We're not the only planners who can plan a wedding but we're one of the few who can do so flawlessly, both on the wedding day and throughout the planning process. Our organization and execution have won the respect of our peers as well as several industry awards. That level of professionalism is what you want to guide you through each phase of planning, ensure every step is accurately arranged, and then oversee all details as they come together to create your perfect day. -We will immediately develop an estimated budget to determine which areas can receive more funding and which areas will require a more conservative approach. - You will be offered a portfolio of elite vendor recommendations from which to choose based on compatibility. We will schedule and/or attend necessary planning meetings and negotiate and facilitate the booking of each vendor. - Our team thrives on cohesive creativity. This means that we take all aspects of your wedding into consideration as you are guided through making decisions. Each design item should represent you as a couple and as individuals and should flow throughout the entire experience of your day. We will collaborate with you to determine the mood and look of your celebration, then we oversee the culmination of every detail. You tell us your vision, approve the separate elements as we go through the planning process and then expect to be blown away when you see the finished product. To ensure that you receive the high level of quality that we demand for our events, we put our entire in-house production team at your disposal. Distinctive floral and tabletop designs, luxurious linens, custom graphic design for wall, floor & ceiling treatments, draping and lighting design are some of the services you will be treated to as a Gala Productions bride if you hire us for your design and decor as well. -Working with the #1 destination wedding planner in South Louisiana has its perks! Hotel accommodations for your guests will be coordinated by a 15-year travel industry veteran. Our travel agent's expertise isn’t reserved for your guests only. Our travel department specializes in honeymoon services as well. -Your final guest count won’t be known until the month before your wedding. 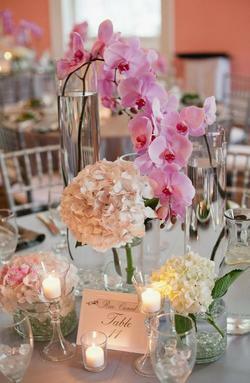 Almost every aspect of your décor and catering will likely be adjusted to accommodate the new guest count. For us, that means a flurry of secondary negotiations, updates and changes. For you, that means calm assurance and building excitement in the final weeks before becoming husband and wife. -The week of your wedding will probably mean a full schedule for you. Luncheons, manicures, pedicures, out-of-town guests arriving…it can be overwhelming. One thing you won’t have to stress over is your rehearsal. Every participant will receive a printed itinerary based on a previous conversation we’ll have had with you. This will keep everything organized and running smoothly and quickly. Most of our rehearsals last less than an hour. At your reception, your only job is to be a new wife and enjoy yourself. We’ll keep track of the schedule and guide you through each activity. We stay one step ahead of the next big moment to make sure all vendors are in place when you’re ready to shine. At the end of the night, we coordinate your guests for the send-off and then make sure the appointed person is aware of the location of your gifts and personal items. The average price for this package is $4700, however, there are circumstances that may increase and possibly decrease this price. "I want the perfect wedding and that takes a professional."